Len C. Rodman has been Chairman, President, and Chief Executive Officer (CEO) of Black & Veatch Holding Company since January 1, 2000. He has overall responsibility for maximizing the value of the company and drive value creation for all Black & Veatch stakeholders – clients, professional employees, shareholders, and business partners. He also is responsible for the company’s engineering, consulting, construction, and related infrastructure businesses in the energy, water, telecommunications, federal, management consulting, and environmental markets worldwide. With gross revenues of more than $3 billion, Black & Veatch is ranked in the Forbes’ top 200 list of largest private companies. Rodman joined Black & Veatch in 1971 and progressed through various project management roles within the Environmental Division. In 1992, he was named head of the North American Division within the Infrastructure Business, where he was responsible for water, wastewater, and industrial wastewater projects, including studies, design, contract administration, and operational assistance. Rodman was named President and CEO of Black & Veatch in August 1998 and was elected to the additional position of Chairman of the Board in January 2000. During his tenure as Chairman, President, and CEO, he has led several major initiatives including the conversion from an 85-year-old partnership to a privately held corporation that set in motion a process for total employee ownership. Rodman is an active supporter of educational initiatives in the Kansas City area, serving as a member of the Board of Trustees of the University of Missouri-Kansas City, as well as the Board of Advisors of the University of Kansas – Edwards Campus. 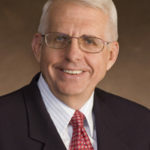 He currently serves as a Governor of the Iowa State University Foundation and has served on both the Iowa State Engineering College Industrial Advisory Consul (ECIAC) and the University of Kansas Dean of Engineering Advisory Board. He also has served on the Board of INROADS, a minority-based organization that helps to transition high school students through college and into productive business careers, and on the Board of the United Way of Greater Kansas City. In this episode, Len discusses the threats and opportunities facing the civil engineering profession in terms of developing long-term sustainable solutions to a multitude of challenging problems. He also talks about his greatest professional accomplishments and regrets as well as what most keeps him up at night.